Types of debris: There are several types of waste, but the two main types that most deal with when it comes to dumpsters is MSW (Municipal Solid Waste) and CND (Construction And Debris). Household items are considered MSW; kids toys and furniture are examples. Most interior or exterior construction debris are considered CND. Size: Dumpster sizes vary from as small as 3 cubic yards to 40 cubic yards and availble sizes vary by company. One common misunderstanding is that dumpsters are based on linear feet, but they are actually based on “Cubic Yards”; 1 cubic yard is a 3’ wide x 3’ long x 3’ height box (27 square feet). A 20 yard dumpster does not mean it will be 20 feet long, but that the interior dimension will hold 20 x 1 cubic yard boxes. Our bins sizes are 10, 15, and 20 cubic yards. They can be viewed here at www.atlantadumpsterrentals.net/order-bin.php. If you need help figuring out what size, we will be more than happy to help you make an educated decision. FYI, if you were to take an Ford F-150 and fill the bed of the truck with water until it spilled over, the volume of water would be about 2 cubic yards. Customer Reviews: Find out what others have to say about the company and their services. You can look into Google reviews, Bing, Angie’s List, etc. This will give you a solid idea on how how the company operates. Tonnage: How much weight is included with your rental? Majority of dumpster companies set how much weight they will cover until there is additional fees. Some companies do not cover any weight. Also, you need to find out what they charge for additional tonnage and if it is pro-rated. 99% of our customers do not go over the allotted weight. Additional Services: What else do they offer and/or what do they charge for additional services? 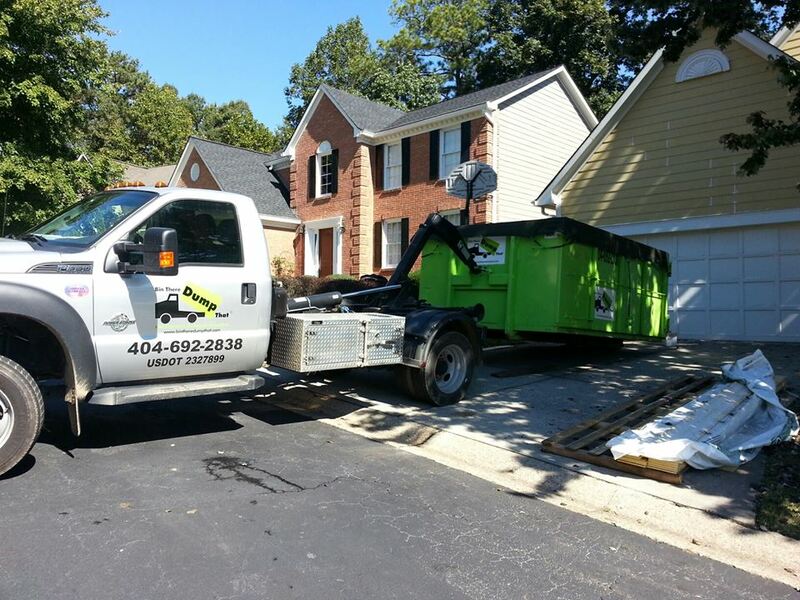 A vast majority of dumpster companies do not offer any additional services, but some will offer some form of driveway protection. At Bin There Dump That Dumpsters we offer 100% driveway protection (bin never touches the driveway) and post job cleanup under the bin at no additional charge. Access, Placement, & Space: Where you would like the dumpster to be placed, is there enough room for a truck to get in (hazards: low wires, narrow drive, sharp curves, etc) and then actually put the dumpster down? Also, will the dumpster size fit where you need it without restricting access to job site and/or loading? Look at where you want it placed and then look at how the truck would get to that location. We are able to access through 9’ or wider gates and 10.5’ height clearance. Furthermore, we use smaller trucks than any other company in Atlanta; we can access and place dumpsters where no other dumpster or trailer company can. All of our bins are designed not to take up more room than a minivan and have double doors on the loading end that reduce the footprint needed. Duration of use and what are the additional pre-day charges. Additional fees? Fuel surcharge, delivery charge, environmental fee, tax, and/or service fees. 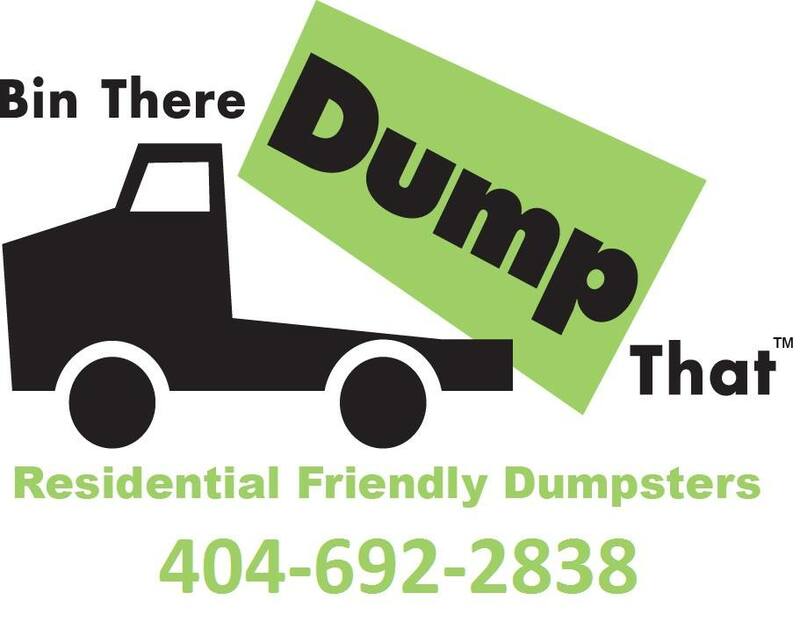 Bin There Dump That would love to help you in your decision making process for renting a dumpster. We can be reached at 404-692-2838.